ZOMG! 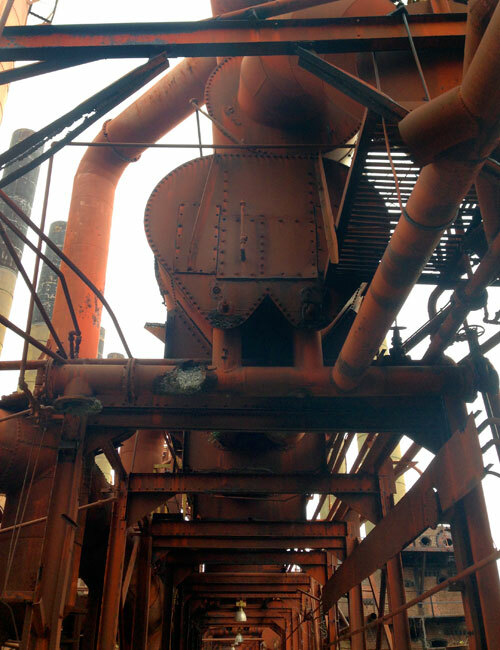 The Sloss Furnaces National Historic Landmark in Birmingham is by far one of the most unique places I’ve ever visited. 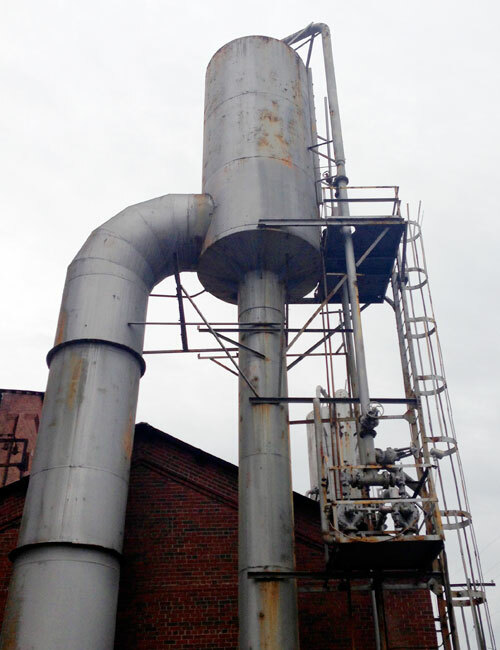 From 1882 until 1971, it operated as a pig iron-producing blast furnace and, a decade after closing, it was designated a National Historic Landmark. 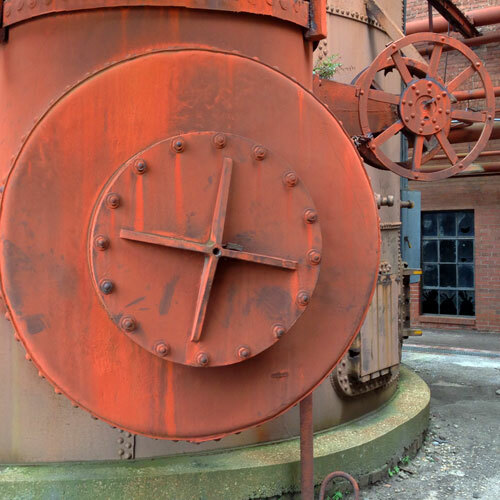 Nowadays, Sloss Furnaces is an interpretive museum that hosts metal arts courses and other educational events, concerts, corporate picnics, weddings, and even disco yoga. Umm, what? Whatever. Let’s just check it out, shall we? There is sort of a path through the place and a self-guided tour in the form of a booklet. 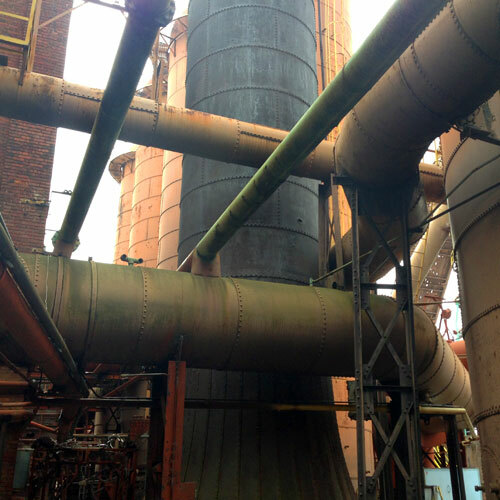 I quickly lost track of where I was and gave up on the tour, reading the on-site didactics out of order and not really learning the step-by-step process of iron production. 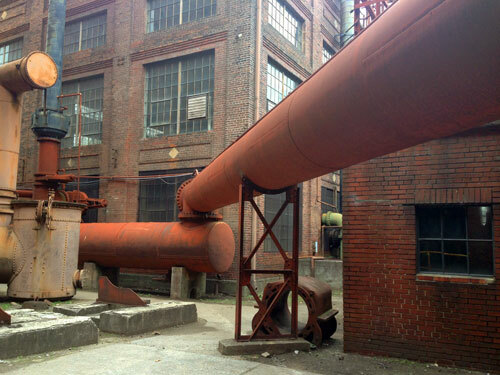 I got the gist of it, though — this place is a complex of buildings connected by huge pipes, and the whole thing is basically one giant machine. The only other place I’ve ever visited that’s sort of similar is the Stanford Linear Accelerator — basically, you feel like a tiny speck enveloped by massive technology. Everything is much larger than human-scale, but it’s all man-made. It’s an unsettling and humbling experience. Also, it’s fun to poke around and peer into these buildings. Is it safe? Umm, not so much! 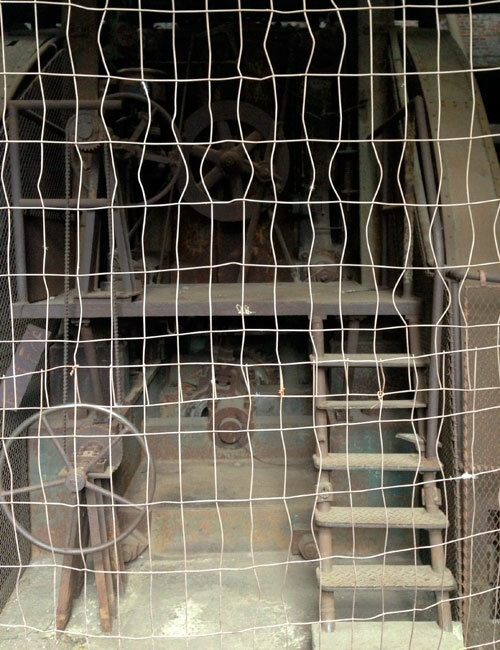 It’s hard to know exactly what’s part of the self-guided tour, some of the areas are only partly secured, and there’s plenty of rusted metal and broken glass. All that makes for a more engaging experience, but you do have to pay attention. The scale and complexity of this structure is difficult to convey in photos; this is a place that should definitely be experienced in person. Again with the safety thing: I couldn’t tell if I was actually allowed to go down to this tunnel and, if it hadn’t been flooded, could I have walked further? 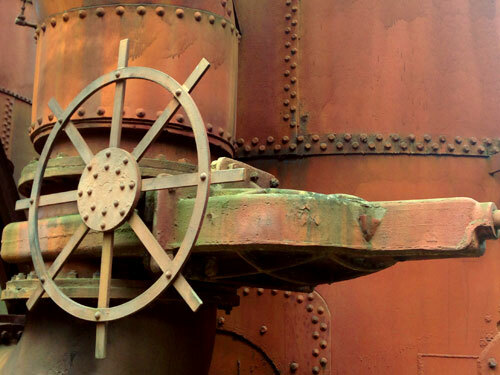 Was that part of the self-guided tour, or was I trespassing? 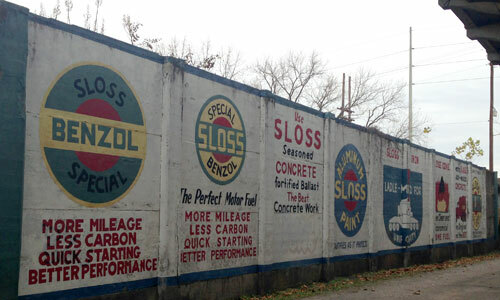 Random bonus: a gallery of Sloss ghost signs! 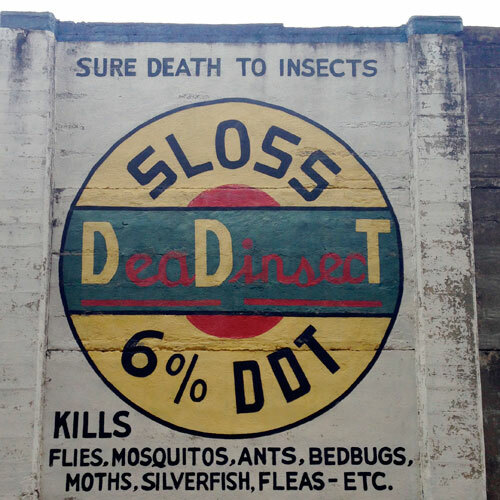 Every time I look at this, I read “Sure Death to Insects, Sloss Donuts.” Actually, it’s Sloss 6% DDT. 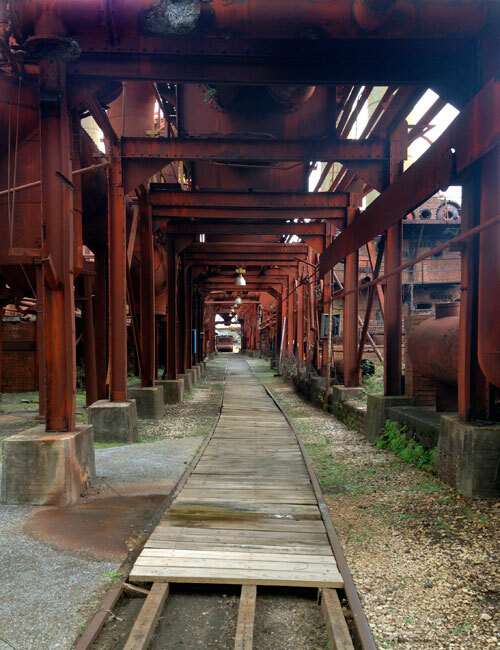 Sloss Furnaces National Historic Landmark is a must-see if you find yourself in the Birmingham area. On my first-ever road trip through the Southeast US, this was one of the highlights. No pictures of disco yoga!?! I feel cheated. So do I! I can’t even form a mental picture of what that would look like. 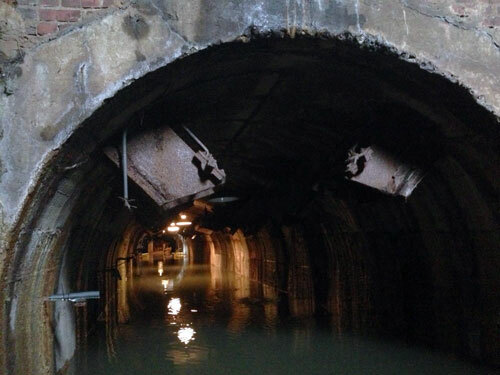 I always thought the tunnel carried cooling water either in or out. 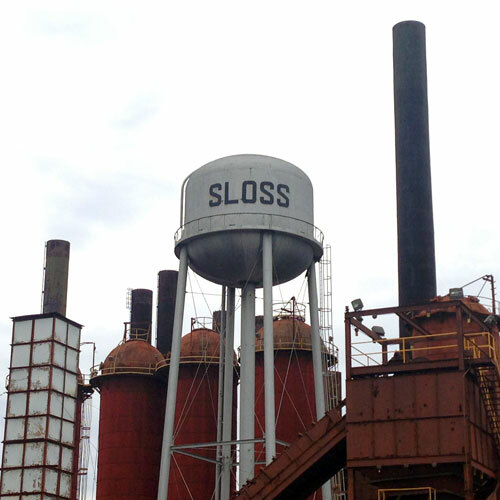 But maybe it wasn’t normally flooded when Sloss was operating. 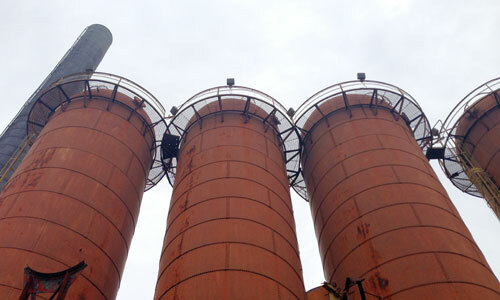 Many ghost stories about Sloss. 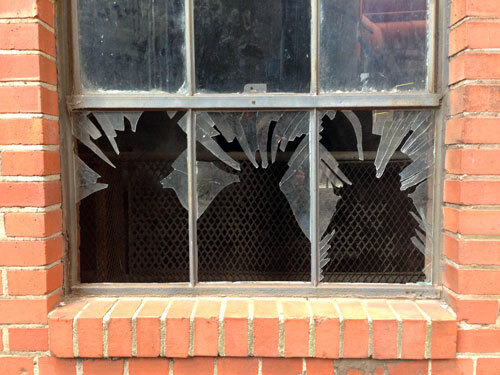 Workers who died in accidents still haunt the place, according to local urban myth. .
You may be right. I lost track of the order of places on the self-guided tour, and maybe that’s why I couldn’t figure out the tunnel. 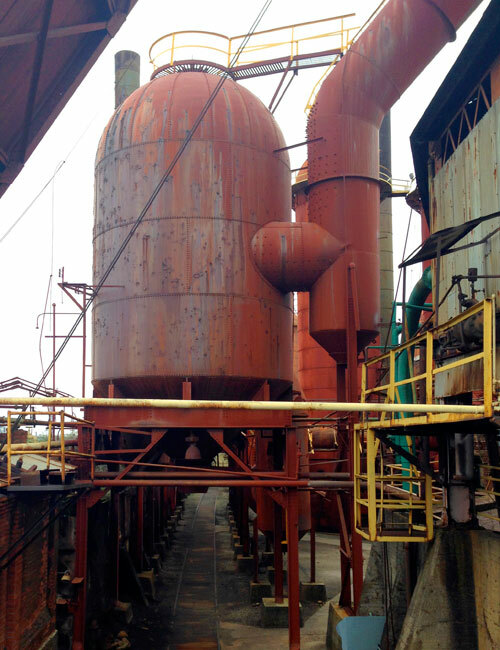 You can read a bit of the haunted history courtesy of a company that offers themed haunted tours of Sloss.